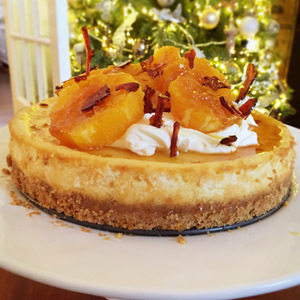 Oranges are at their best at Christmas time and cheesecakes are a popular dessert for many households on Christmas Day, and indeed across the festive season. The zesty orange and sweet caramel complement each other so well, and are a winning combination in our eyes. We’ve been busy in the kitchen preparing a Christmas dessert recipe for you all to enjoy, something that will really bring out the festive flavours we all love. 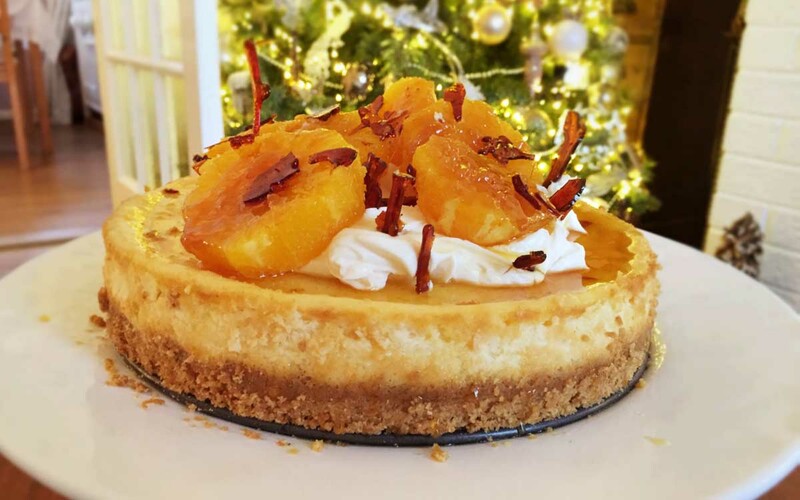 This showstopping baked cheesecake uses lots of mascarpone for a really smooth and rich texture, with the candied oranges adding a refreshing burst of flavour as you get stuck in. Something to impress family and friends with as they call to your home this party season. Check out the recipe steps below and let us know how you got on in the comments section at the bottom of the page. Before you begin on the biscuit base, get a round loose-bottomed cake tin and leave to the side. Melt the unsalted butter in a small saucepan over a low heat. While the butter is melting, crumb the digestive biscuits and orange zest together using either a food processor or gently breaking up with a rolling pin to a crumb like texture. 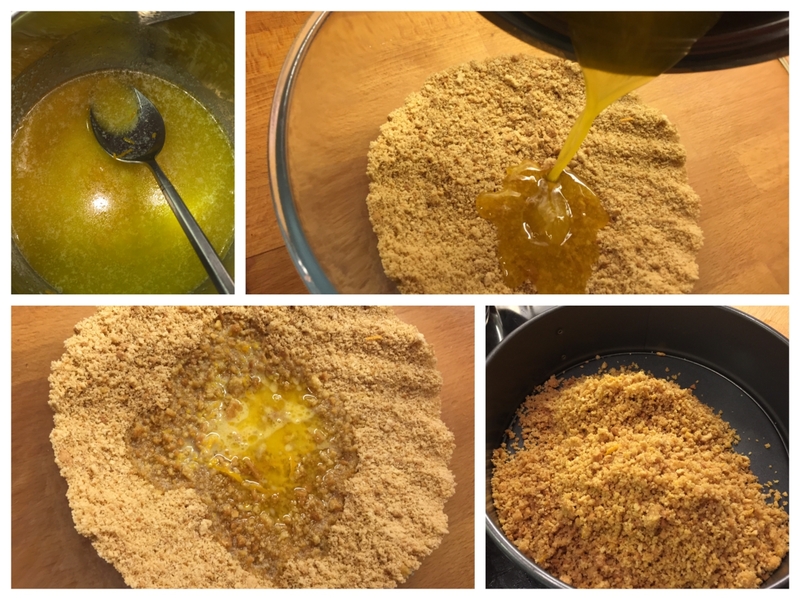 Once finely crumbed, pour the melted butter over the orange biscuit mix and stir until evenly combined. Press the crumb mix into the base of the cake tin. Be sure to create an even layer and pack down firmly. Refrigerate until needed. Pre-heat the oven to 160C (140C fan) and begin working on the filling. 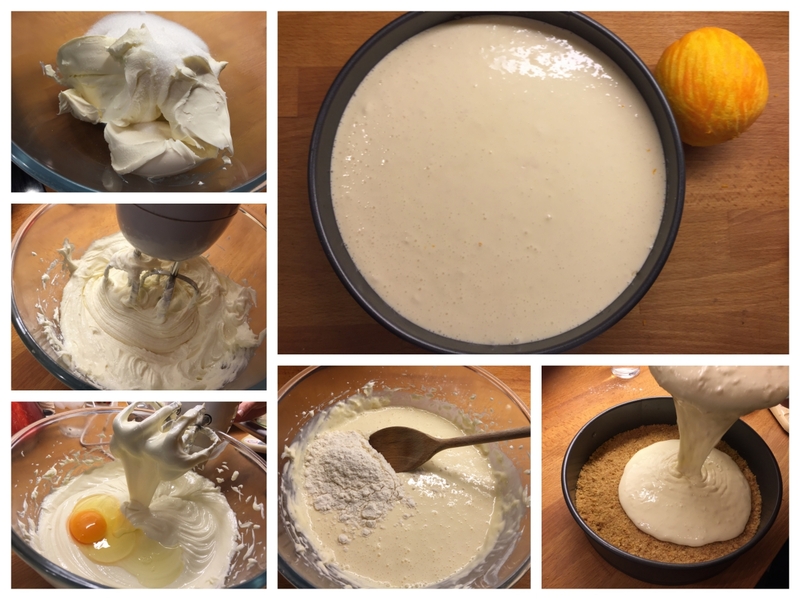 Using an electric mixer, combine the the mascarpone, Philadelphia and caster sugar in a large bowl. Add the eggs one at a time, mixing in between. Add the flour, vanilla and orange zest to the bowl and mix with a wooden spoon. Take the chilled biscuit base from the fridge and set the tin on a baking tray. Pour the orange cheesecake filling over the top, making sure you smooth the top of the mix. Put the cheesecake in the oven and bake for around 50 – 60 minutes until set (there should be a slight wobble). Remove from the oven and leave to cool in the tin. Slice the peeled and trimmed oranges into 0.5cm deep rings on a plate to collect the orange juices. Place these orange pieces flat in the base of a heatproof bowl. Place a non-stick frying pan over a low heat and gently melt the caster sugar, allowing it to turn to a golden caramel. Remove the pan from the heat and add the orange juice and Cointreau. The caramel will spit and bubble at this stage so take care. Return the pan to the low heat and stir until the caramel and liquid have combined evenly. Pour over the orange slices and set aside to cool. Add the caster sugar to a clean frying pan and allow to dissolve over a low heat until it turns to caramel. Line a baking sheet with grease-proof paper and pour the golden caramel onto the sheet and allow to cool. 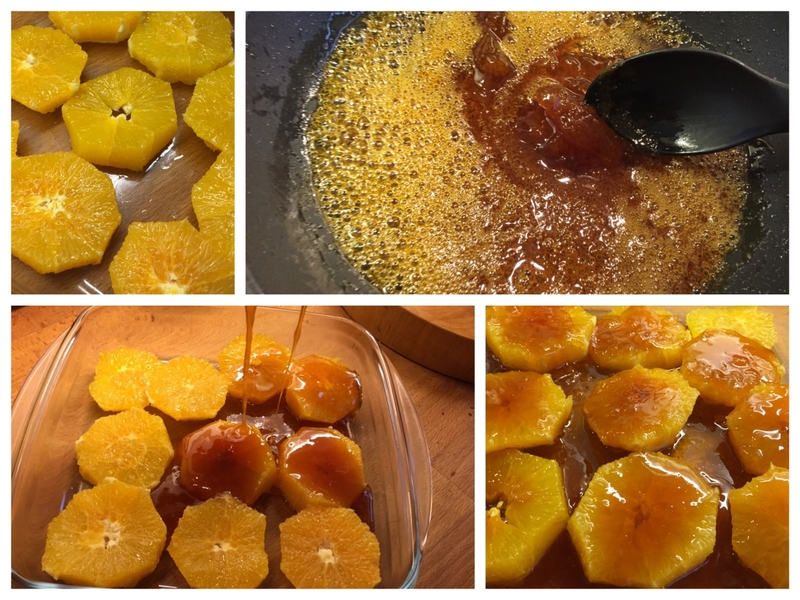 Allowing the caramel to reach a deeper colour will intensify the flavour and contrast with the fresh orange slices perfectly. Be sure to not let the caramel burn though. Break into small shards when it is time to begin decorating the cheesecake. Mix together the mascarpone, icing sugar, Cointreau and vanilla seeds in a bowl and set aside. Take the cooled cheesecake and set onto a presentation plate. Loosen the springs on the side of the cake tin and gently remove the outside of the tin. 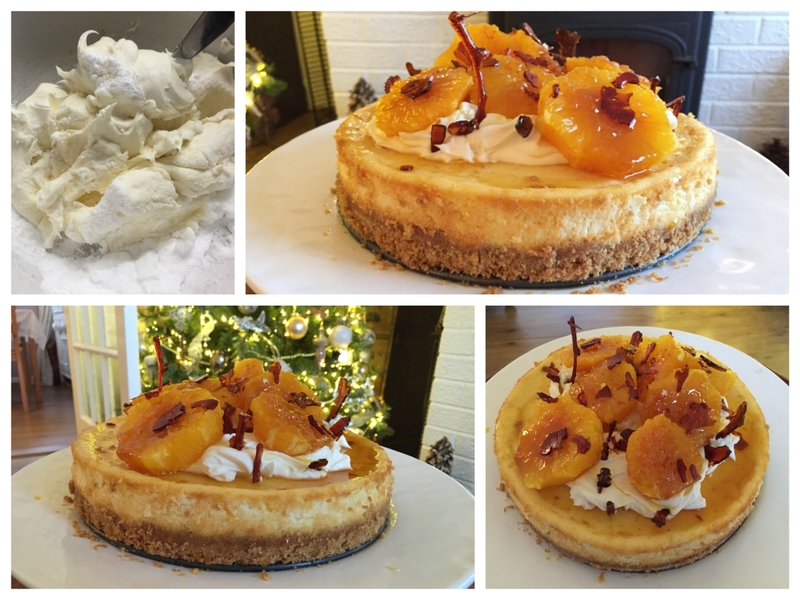 Dollop the mascarpone icing on top of the cheesecake and add the caramelised orange slices. Drizzle some of the caramel sauce from the oranges on to the cheesecake and finish decorating by adding the caramel shards. Share your recreations of this dessert or any other desserts you make over Christmas with us in the comments section below or by posting to our Facebook, Twitter and Instagram page. Have a Happy Christmas guys, and be sure to check out our social pages to see what we get up to over the coming days.